It's summertime and that means fresh, light, and easy cooking. Summer also means bbq'ing and picnics, two of my favorite summertime happenings. However, since moving to NY, I have been unable to have a BBQ due to the fact that I live in apt without a balcony (with the current NY weather not sure when picnics will resume). 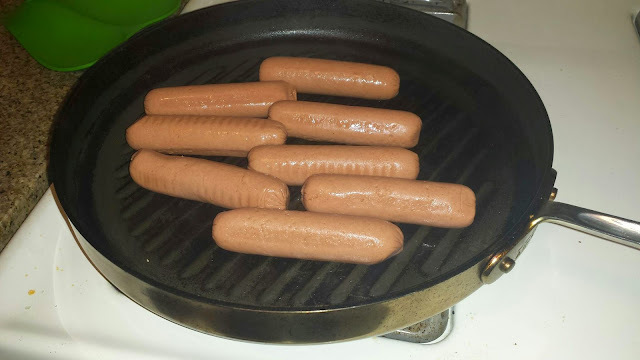 And since I gave away my grill before I moved…I have to improvise. I made my own BBQ-esque picnic inside. 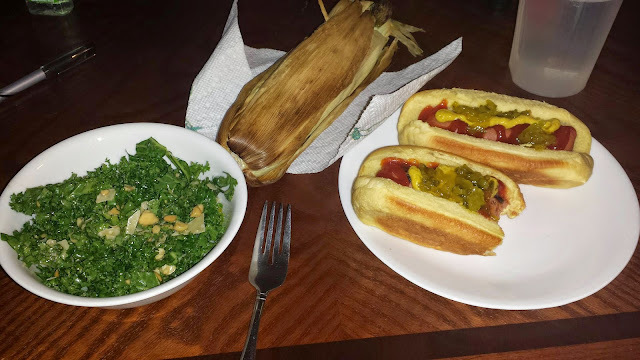 On the menu today we have kale salad, hot dogs and "grilled" corn. 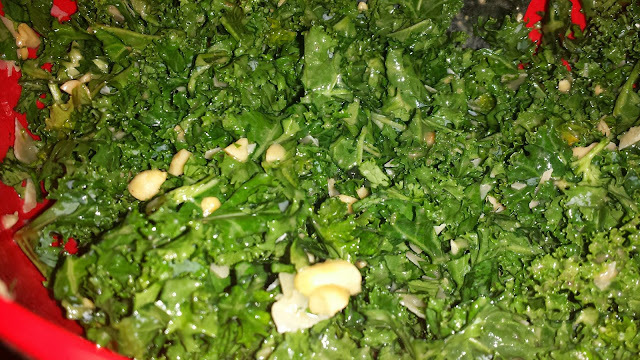 Hillstone and/or Houston's has this amazing kale salad with roasted peanut dressing (their veggie burger and house salad are also quite delish!) that I have to get every time I go. And since eating out is not always feasible. I had to learn how to make it at home. 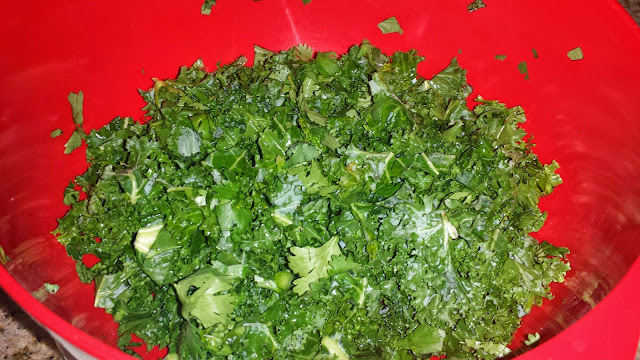 I found what I thought might be close recipe, Kale Salad with Peanut dressing. 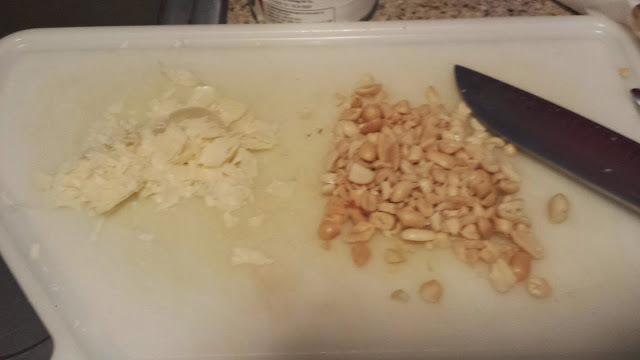 And it was pretty good, the only thing I added was a tablespoon of peanut butter for added flavor. Enjoy! 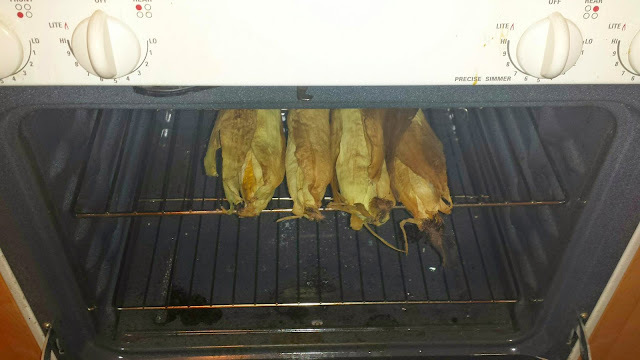 Soak in water then place in 450° oven in husks for 15 minutes. Turn ever 5 mins. Time to picnic and EAT! !